Yahoo Inc reported on Monday that it would rename itself as Altaba Inc. Along with that they also told that Chief Executive Officer Marissa Mayer would step down from the board. Marrisa Mayer will resign after closing its deal with Verizon Communication Inc.
Yahoo has a deal to sell its core internet business, which includes its digital advertising, email, and media assets, to Verizon for $4.83 billion. Verizon Executive said that they see a strong strategic fit with Yahoo and they are still investigating the data breaches made by Yahoo earlier. 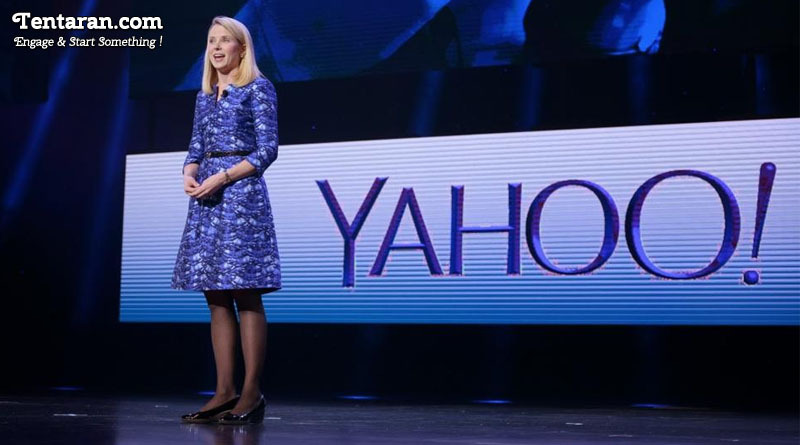 Five other Yahoo directors would also resign after the deal closes. How did it come up with the name Altaba? After Verizon Agreed to buy Yahoo’s core Internet Business, which includes email services, sports vertical and various apps, Yahoo is left with embattled technology Company, which is Yahoo’s ownership of Chinese Internet Giant Alibaba. The New Name is the combination of the Words, “alternative and Alibaba”. Today they own roughly 15 percent of Alibaba, holdings that are worth about $35 billion. The idea behind the name is that Altaba’s stock can now be tracked as an alternative to Alibaba because Yahoo owns a sizeable chunk of the Chinese company.